With rapid changes in field development methods being created over the past few decades, there is a growing need for more information regarding energizing well production. 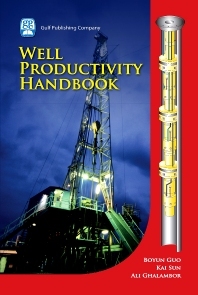 Written by the world’s most respected petroleum engineering authors, Well Productivity Handbook provides updated knowledge for modeling oil and gas wells with simple and complex trajectories. Covering critical topics, such as petroleum fluid properties, reservoir deliverability, wellbore flow performance and productivity of intelligent well systems, this handbook explains real-world applications illustrated with example problems.